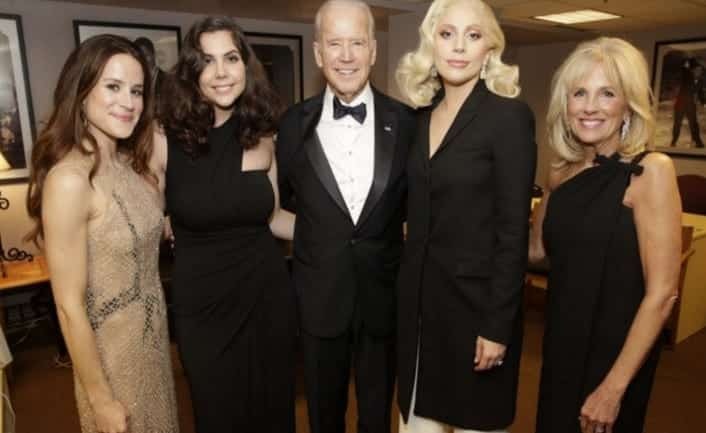 Vice President Joe Biden joined Lady Gaga to speak out against sexual assault at the 88th Academy Awards on Sunday night. “Let’s change the culture, so that no abused woman or man like the survivors here tonight ever have to ask themselves, ‘What did I do?’” Biden said before introducing Lady Gaga. The pop singer, surrounded by sexual-assault survivors, earned a standing ovation after playing the Oscar-nominated “Til It Happens to You” from the documentary The Hunting Ground. This entry was posted on February 29th 2016 at 7:57am/07:57 and is filed under Entertainment, Live News Column 2, Politics. You can follow any responses to this entry through the RSS 2.0 feed.